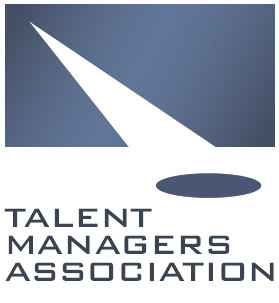 Talent Managers Association announces Nicole Jolley as a Heller Award Nominee again in 2013. Although the invite states that no performers are allowed, that couldn’t stop Joan Rivers and William Shatner from coming to honor managers, agents, and casting directors at the 12th Annual Talent Managers Association Heller Awards at the Beverly Hilton Hotel on Sept. 19. The evening began with a musical act and then proceeded to the special awards. The Lifetime Achievement Award was presented to Larry Thompson by two of his clients—Rivers and Shatner. Rivers noted that Thompson bridges old Hollywood and current Hollywood: “What he doesn’t know, he goes out and learns and then he embraces it totally.” She went on to explain the difference between agents and managers, “Agents see you for what you do at the moment; managers see you for what you could do.” Shatner also had words of praise for his manager, but joked about their first meeting when he questioned Thompson: “Why do I need a manager? Fifteen percent to the manager, 10 percent to the agent, 5 percent to the business guy, 50 percent to the government; think about the ex-wives. If I work I’m going to owe money.” In his acceptance speech, Thompson offered some words of wisdom. “I’ve learned that you can’t get hit by lightning if you’re not standing out in the rain,” he said. Other special awards included the Heller Impact Award presented to Pam Dixon by Gale Ann Hurd (via video) and Deborah Calla. Dixon spoke about the Media Access Awards and helping casting directors to find and employ disabled actors. Rick Najera presented Fern Orenstein (VP of Casting, CBS) with the Heller Luminous Award, and the Pat McQueeney award was presented to Dolores Robinson by her daughter Holly Robinson-Peete. Robinson-Peete spoke about how her mother moved them from Philadelphia to L.A. and managed to blaze a trail for women and African-Americans in the management industry. Finally, the TMA Manager of the Year award was presented to Annet McCroskey by Myrna Lieberman and Addison Riecke. Winners of the evening included Iris Grossman (Paradigm), Emily Urbani (Osbrink Agency), Hugh Leon (Coast to Coast Talent Group), Mickey Shera (Innovative Artists – NYC), Carol Lynn Sher (CESD Talent Agency), Sarah Finn (Sarah Finn Co.), April Webster (April Webster Casting), Michael Sanford (Sanford Casting), Gina Gallego (Wendy O’Brien Casting), Melissa Berger-Brennan (CESD Talent Agency), and Ivy Isenberg (Ivy Isenberg Casting). Actors had many words of thanks for the agents and managers when presenting awards. “There’s so many people that get recognition for being in front of the camera, but we wouldn’t be where we are without people behind the camera, without my agent calling me up and being my shoulder to cry on, and my punching bag sometimes as well, then I wouldn’t be here today and I wouldn’t be doing the work that I’m doing,” presenter Tom Pocock (“X-Men Orgins: Wolverine”). Grant Show (“Devious Maids”) noted “Whatever amount of success an actor achieves, he never does it alone.” And Katherine Lanasa (“Longmire”) said, “It just really makes a difference if you have someone that believes in you behind you. Some of the best jobs I’ve gotten, the people didn’t believe that they should see me and my agent talked them into it.” The theme that ran through the acceptance speeches was that of collaboration. Agents, managers, casting directors, and actors all agreed that collaboration is what makes their jobs possible. Sarah Finn – Sarah Finn Co.
Tamara Hunter - Sarah Finn Co.